Whoever loves winter, loves sitting next to the fireplace, on cold snowy, winter days. 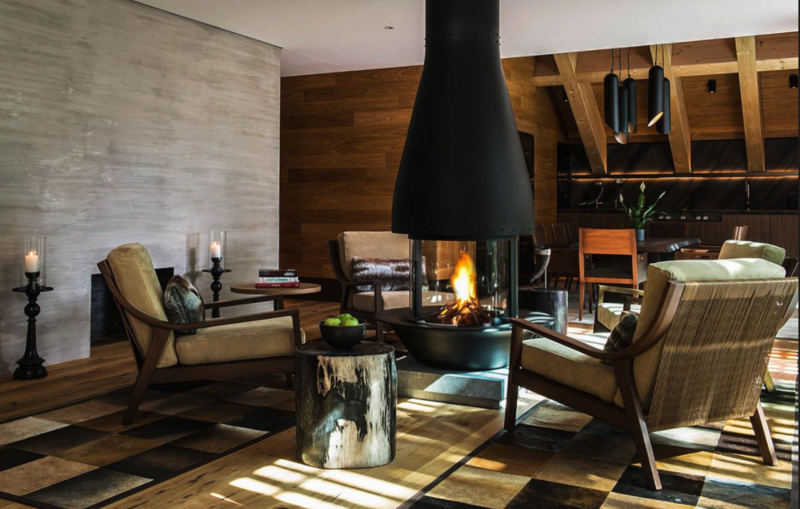 In this article of Hotelier Academy, we will explore some impressive fireplaces from all over the world, which will definitely inspire you! 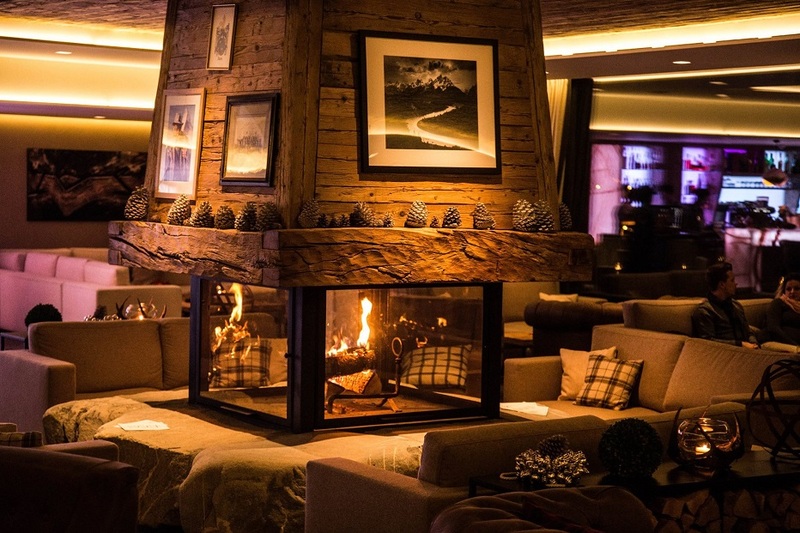 We have selected 5 impressive and unconventional hotel fireplaces from all over the world, to provide “food for thought” to hoteliers who want to create a refined, warm and unique atmosphere for their guests. Innovation and experimentation are the keywords in the design of modern fireplaces. At the same time, these are essential elements for the creation of practical and functional fireplaces, which will not only keep warm the hotel rooms, but will also give a more medieval atmosphere. 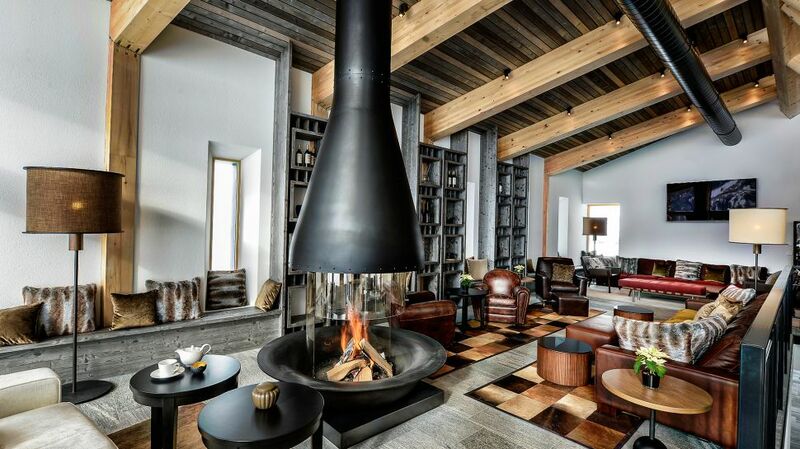 The central fireplace is the “heart” of the hotel’s library at The Chedi Andermatt in Switzerland, a hotel belonging to the GHM hotel group. The fireplace’s position in the center of the room, makes it the main attraction, while it’s visible from every corner of the library since it’s open from all sides. Contemporary and light materials available in the market, give you the opportunity to create chimneys with great design freedom, in all shapes and forms. This vertical pipe hanging from the ceiling, usually in a circular cross section, creates perimeter seats, while rectangle ones can separate a large space into two smaller ones. SMART TIP: We need to pay attention to the areas near the fireplace. A central fireplace fits more appropriate in large spaces, such as the lobby or the restaurant area. 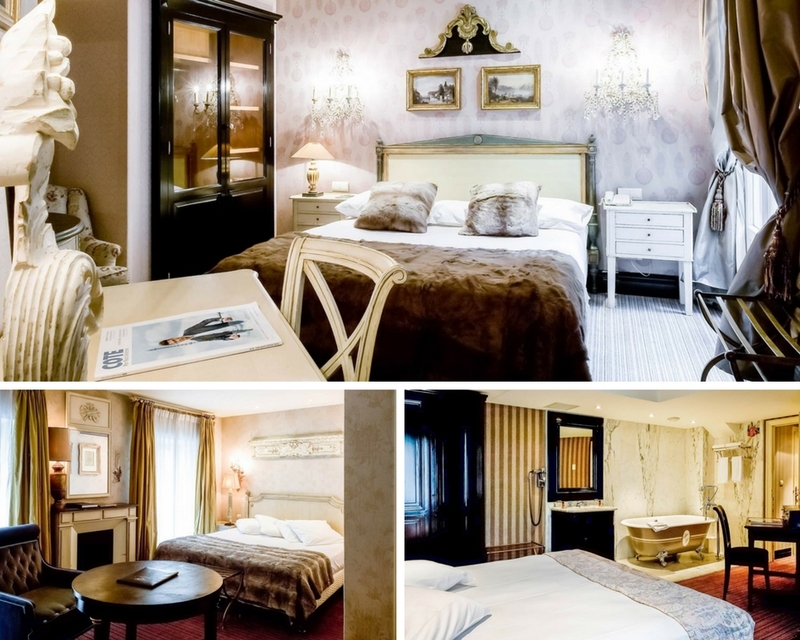 The 4-stars Chateaubriand Hotel in Paris, consists of 28 unique rooms. Each room has its own personality. The concept is based on the warm and private atmosphere. Italian marble showers, cast iron fireplaces, and silk wallpapers travel guests in another era of design history. SMART TIP: The specific concept needs to be strictly followed, regarding all its elements, materials and lighting in order to preserve its authenticity. Hotel Rougemont in Switzerland, is composed of many connected buildings, giving the impression of a small village surrounded by pine trees and an incredible view in the Alpine forests. 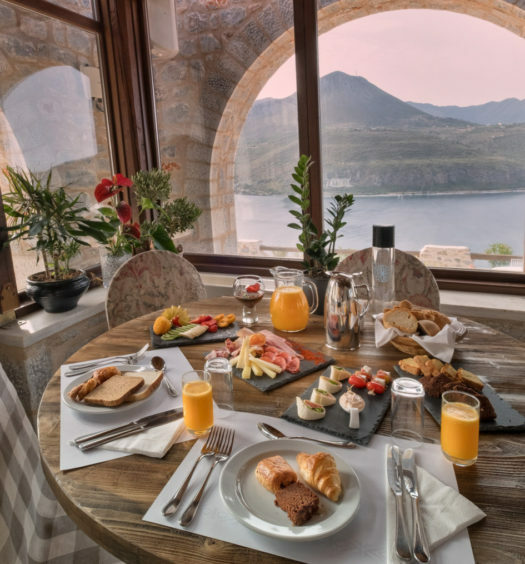 The hotel is presented with a distinctive, minimalist yet warm design, and this is achieved not only due to the use of natural materials but also due to the simple and sophisticated decoration. Traditional fireplaces remain the most desirable, especially to winter destinations. Traditional construction materials such as stone or wood create a warm sensation, that feels like home! SMART TIP: Emphasize the functionality and the meaning of the concept of “tradition”, in order to create sophisticated and hospitable spaces. Be careful to choose the necessary authentic and natural materials. 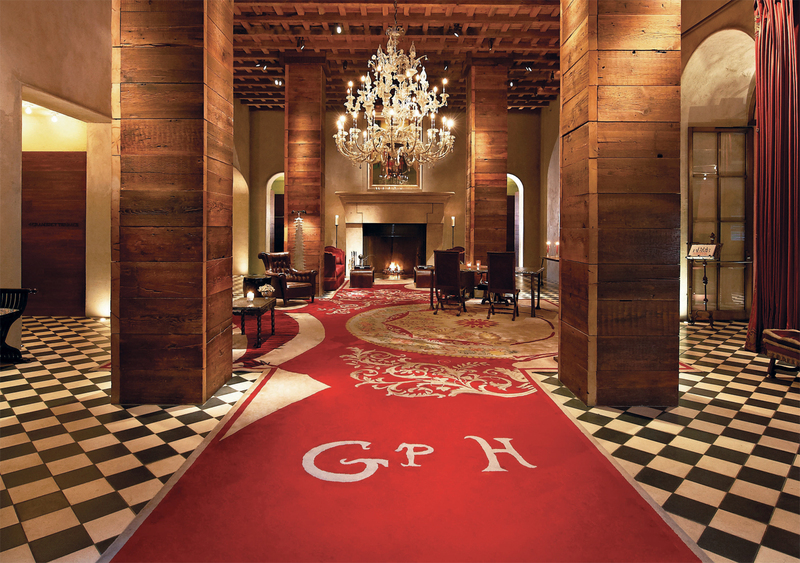 The recently renovated suite of the historic Gramercy Park Hotel in New York, is the personification of velvet luxury. From musicians to fashion gurus, don’t be surprised if you happen to see famous artists. The fireplace is part of an imposing total combined with the furnishing of the room and provides an urban charm keeping you away from the noise and the frustration of the big city. SMART TIP: The design and construction materials of the fireplace must be in full harmony with the selection of the other decorative elements that characterize each space. In the Lower East SideIn, one of the best neighborhoods in New York, there is a multi-level building, surrounded by the best bars and clubs of the area which hosts The Ludlow Hotel. 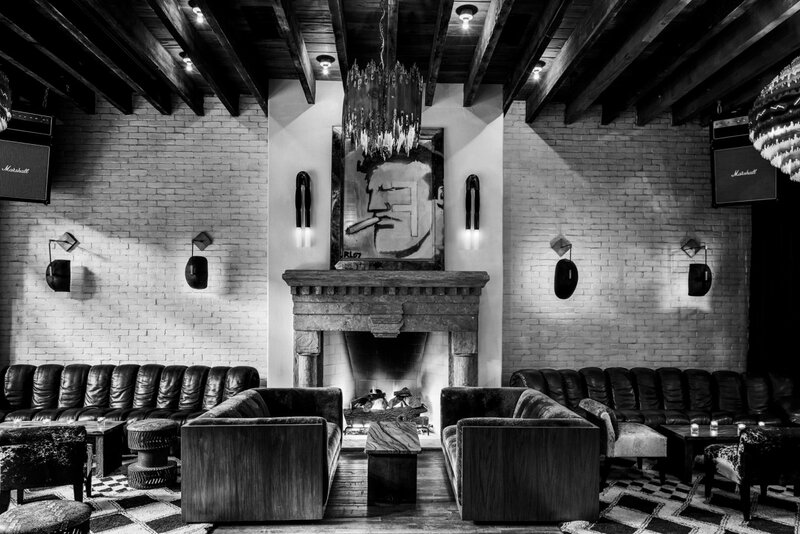 The imposing fireplace located in the Cocktail Bar of the hotel is the ‘mix & match’ result from modern details with the industrial charm. SMART TIP: Fireplaces and walls can be redesigned with exposed industrial materials, in order to create an ideal industrial look. Maria Papachristou owns a diploma in architectural studies at the Facoltá di Architettura di Firenze in Italy and has specialized in bioclimatic design. After completing her studies, she worked in an architectural firm in Florence, Italy. From 2008 onwards, she founds and runs the architecture studio Mind the_ Ark. She has participated in national as well as international competitions and exhibitions and has also been in charge of the conceptual design of various exhibitions both in Greece as well as abroad. Her work focuses on the study and construction of private projects, industrial products & interior design projects, hotels, residences, offices, bar-restaurants, along with the renovation of interior spaces. 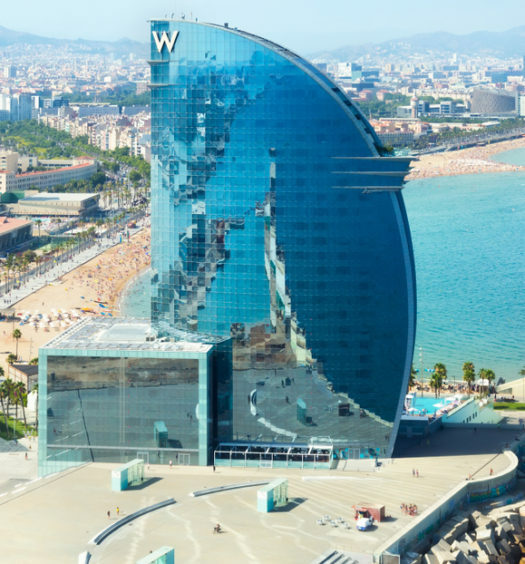 Hotels made of glass: all you need to know about the new hotel trend!